Advertising your business details and company logo can be an expensive affair, but not here at Calendar Lady Promotions as we use corporate branding. 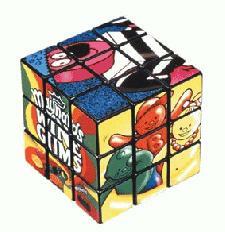 Our Rubix Cube Freebies are an excellent product to have your details printed on and leaving you one thing to do. Give them away to as many people as you can and let your advert travel. To find out more about our Rubix Cube Freebies click here and fill in the contact form and we'll get straight back to you. Other promotional and personalised items besides our Rubix Cube Freebies click here.